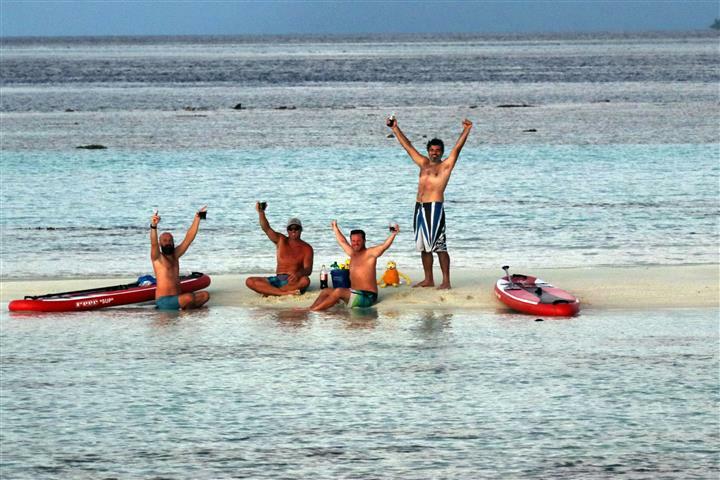 Don't take our word for it when we tell you that exploring the Maldives with Shantaram is an amazing adventure, take a look at what some of our recent guests have to say. 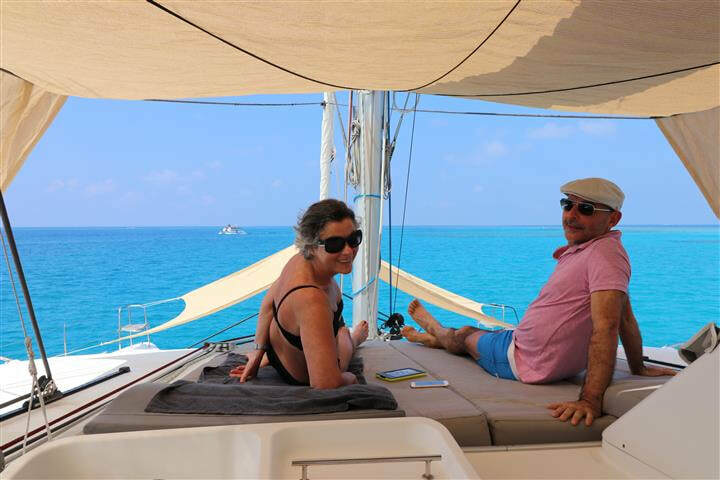 We had an absolutely amazing time on Shantaram and enjoyed our time with Lindi and Kemble enormously. Everything was perfect, the boat is beautiful and Lindi’s cooking was exactly our taste. We loved our stay and for sure we will be back on Shantaram in the future. I cannot recommend booking Shantaram enough. We travelled for 6 days with 2 teen daughters, and really regretted not booking a longer trip. Boat was luxurious with lots of space for sunbathing and also shade (looked at others since and noted lack on shade on some), beds very comfortable all with ensuite. Food on board very tasty, fresh and home cooked. The crew were lovely and respected our family time together as well as interacting and making our time fun. 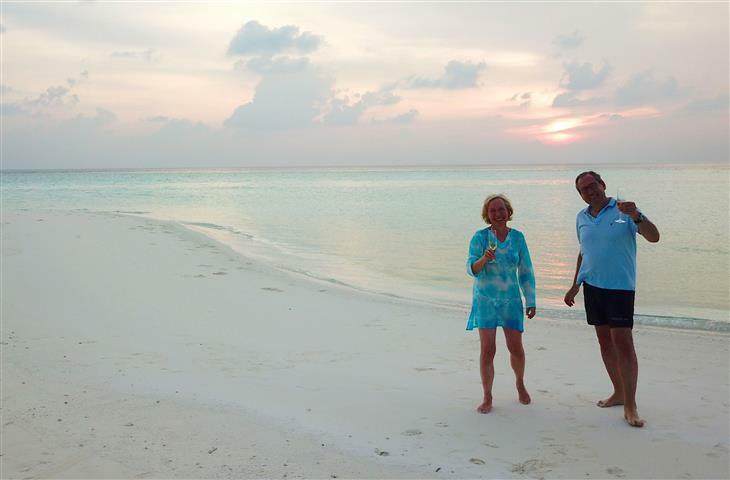 We all felt we had got so much more out of our holiday than being on a resort island - we had not visited the Maldives before and wanted to get a feel for the vast area and amazing colours and wildlife that surrounded us. We are a very well travelled family experiencing both luxury and basic accommodation - this was definitely one of our top holidays and would not hesitate to book again. We had an amazing time! I can honestly say, I think it was our all-time-best surf trip ever. I say that, because although the waves weren't epic, the overall experience was phenomenal. All the adventures and the 'non-surf related activities' sure made-up for any short-comings in terms of waves. All the adventures and awesome hospitality from both Lindie and Kemble far exceeded expectations. And the food was awesome (better than than expected). Please convey our gratitude and thanks for Lindie and Kemble for being amazing hosts. We are most definitely considering a similar trip next year. We had a fantastic time on Shantaram! Thanks for everything, what you have built up as a holiday package is truly unique. A fantastic experience that will stay with us for long! We love sailing. We love active holidays. When we planned our family holiday for the Maldives it we did not want to get stuck on one Island. What you read on the Shantaram website is 100% true. You cannot expect more from a holiday. Kemble and Lindi, our hosts at Shantaram were just amazing - we had probably our best ever holiday with them. 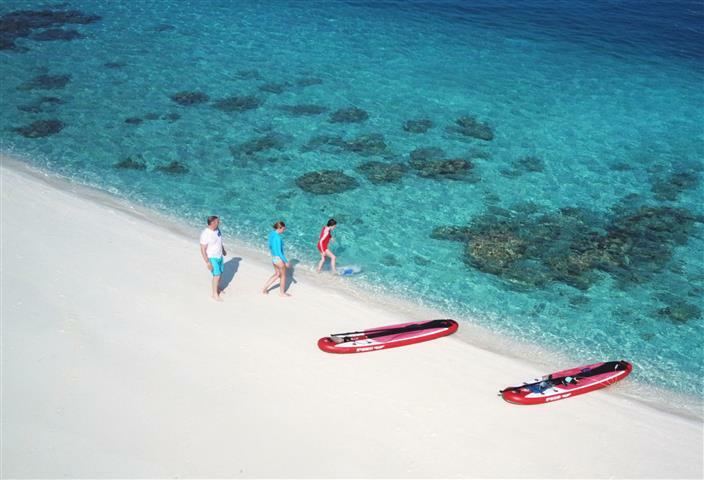 Loaded with adventures: surfing, swimming with dolphins, sharks, turtles and manta-rays. They did an amazing job helping us the explore the marine life and natural beauties of the Maldives. They are so service oriented, recognizing our wishes even before we mentioned them, easily adapting to everything that was important for us. We have spent a fantastic time spent together, I would call them friends as opposed to the crew on my holiday. Do not worry about the boat - Shantaram is not a typical charter yacht - it is in perfect condition, well equipped with everything, spacious and clean. Honestly, I do not know what you could improve – it was just perfect. Seriously. You can be proud of your boat, the crew Kemble and Lindi, and the overall “package” you have created. We would like to come back again! We owe a world of gratitude to our amazing hosts and new friends, Kemble and Lindi. Our holiday will forever be heightened and all the more memorable not because of the Maldives, but because of our experience on Shantaram. Kemble and Lindi are great hosts who not only ensured our comfort and safety but also that every moment was an added memory of a lifetime. We laughed like we've never laughed. We smiled like we have never smiled. Lindi was the most amazing chef. And that's coming from a couple of "foodies". Every meal was home cooked. Tasty fresh ingredients. Personal favorites were ciabatta cilantro burgers and gourmet pizza. Snacks were plentiful. Every day held a new adventure. Snorkeling, fishing, (we caught our own dinner) scuba diving, breakfast with hundreds of dolphins, evenings with stingrays, Nurse sharks, turtles, swans and more. We also appreciated all the wonderful conversations that taught us so much about the Maldives. We enjoyed these conversations and still marvel at how easily we got along with our hosts. Like we'd known them for years. We also appreciate how family friendly this holiday was. Kemble and Lindi both helped our daughter (9) to explore at her own pace and learned to read her very well. She was so enchanted by her experience that she cried and cried when we left, as she will miss Kemble and Lindi both very much. An incredible gift of friendship and world experience to a child.